The Tennessee Valley Authority (TVA) began creating dams and lakes for hydro-electric power starting in 1933. Over the decades, the TVA has generated 11,000 miles of pristine shoreline framing nearly 300,000 acres of reservoir land, its newest coming in the early 80s with the creation of Lake Tellico in eastern Tennessee, wrapped by the foothills of the Great Smoky Mountains and just 30 minutes from the university town of Knoxville. 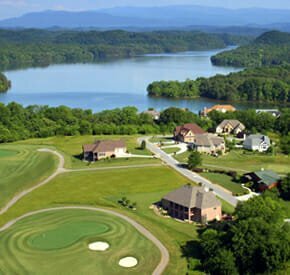 In 1986, the lake became the crown jewel of a 4,600-acre planned retirement community called Tellico Village, home to three golf courses, five marinas, a myriad of other amenities, plus an uncommon spirit of engagement embodied in its homeowners. With the original developer long gone, today Tellico Village is entirely managed, governed, and invigorated by its residents. The Doughertys are about to enter their second and final year as New Villagers, residents who may choose to be introduced to the community, and scores of activities and clubs, at monthly socials. There are specific New Villager activities, but there are also hundreds of Home Owners Association activities, 300 formal clubs, plus programs outside the community, and the freshmen couple from Chicago take advantage of all of them. Jan is in three different hiking groups—one called Muddy Boots—and does water aerobics and a power walk every day. She also is an event coordinator for Dine Outs (which lure up to 40 folks out to different area restaurants), has joined a couple of book clubs, is a member of the Purdue Alumni club, and is a Litter Angel, residents who volunteer to pick up litter to keep the main parkway beautiful. And as a former teacher, she also tutors first-graders weekly at the local Boys & Girls Club. Dennis, who has a degree in physics, helps organize Astronomy Club “sky parties” for the residents. He also raises funds for both the local library and the fire department. The couple are both in the Illinois club, the motorcycle club, and a couple of wine clubs. They play in the weekly golf scramble, kayak on the lake, play pickleball, and go to sporting and cultural events in Knoxville. An uncommon spirit of engagement, indeed! For additional information on Tellico Village, visit online at tellicovillage.org. The Franks and other residents also enjoy the Lake Latitude Club that features a resort-style pool, beach area, fitness center, and party room. Additional Phase One amenities are under construction and slated to open fall 2019. Latitude Margaritaville Hilton Head residents will enjoy walkable neighborhoods, golf cart-friendly streets, and a lively Town Center. 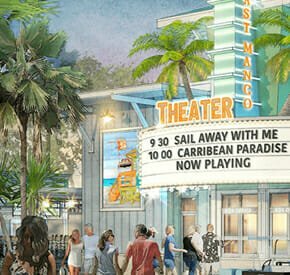 Music will play an important part in all Latitude Margaritaville communities, and residents will enjoy live entertainment under the bandshell and dancing in the Latitude Town Square. Latitude Margaritaville Hilton Head will also have an adjoining 290,000-square-foot golf cart-accessible neighborhood retail center that is being developed in partnership with Sutton Properties, Inc. According to the Franks, there is a fantastic activities director who keeps everyone active. Group outings organized by the community lifestyle directors include fun get-togethers like Java Monday, Welcome Wednesday, Fintastically Fun Friday, Pickleball, Pins & Fins Bowling, Brunch Run Club, Chill & Fill dining outings, Pets in Paradise, and the list of creative Margaritaville fun goes on. The longtime love of Jimmy Buffet’s music attracted the Franks to their new life at Latitude Margaritaville and they couldn’t be more excited about the adventures in their future.